The Path of the Condor (El Camino Del Cóndor) is a documentary film directed by Christian Holler, in which a paraglider pilot and an ornithologist study the life and flight characteristics of the world’s largest flying bird, the condor. First released in 2008, it has been remade with narration by Viggo Mortensen. The U.S. premiere was Sunday, March 28 at the Environmental Film Festival in Maryland. A DVD of the film has been available for some time, with other narrators. 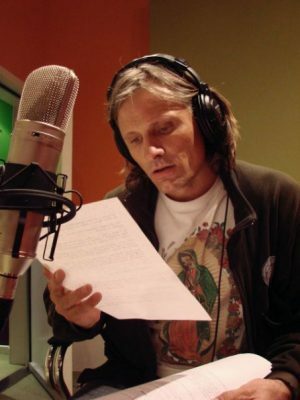 It is being re-released with Viggo Mortensen’s narration, but be aware that the copies currently available in 2010 were made prior to this remake. Update September 2018: we updated the links where we could. There is also a Path of the Condor trailer on YouTube that features Viggo narrating the film.